Africa is a mobile market. Recent data shows that more than 80 percent of Africans own a mobile device, and that number is growing at a rate of 4.2 percent every year. But so far, the majority of phones are not yet smart. Almost 63 percent of connections are basic 2G and SMS, while just 11 percent have 3G connections. This unique consumer base has been a key component of enterprising tech startups looking to tap the growing phone market. Inventors are using basic mobile connections and text messages to help users access the Internet without an Internet connection. 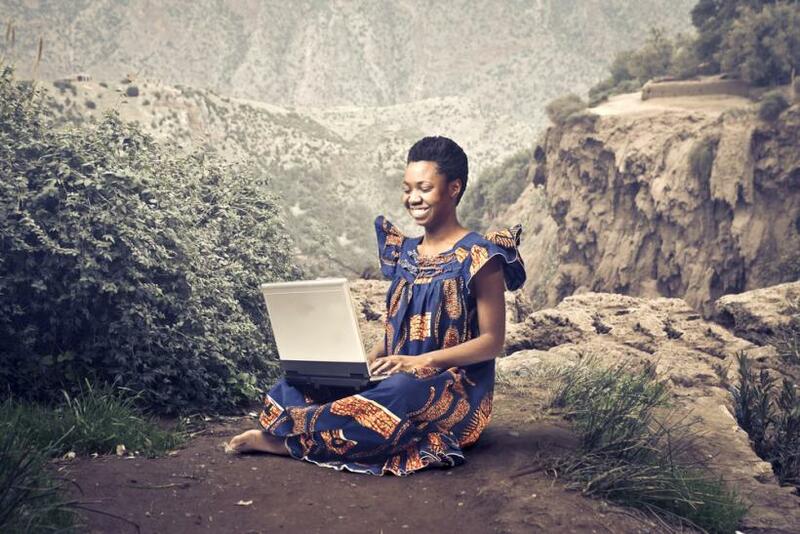 It’s an outlook not unique to Africa, and many companies are finding success in similar emerging or frontier markets where the vast majority of consumers don’t have a Wi-Fi connection. On Monday the South Africa-based mobile messaging app Mxit launched in India. It’s facing down competitors like WhatsApp and BBM, but the fact that it requires just a 2G connection makes it a good bet in a country where 80 percent of cell phone users have only basic devices. ForgetMeNot provides a range of Internet services to non-smartphone users by converting emails, Facebook updates and chat notifications into text messages. “It really doesn’t seem fair that people who can’t afford new technology can’t be part of what’s happening in the West… Digital technology performs a role, that could be a social, educational, or helping a small business,” said CEO Jeremy George in this 2012 video. The Zimbabwe-based company also has contracts with mobile carriers in Lesotho, Kenya, Nigeria and the Republic of the Congo, with plans for expansion. This startup makes use of the prevalence of mobile money transactions, and makes it possible for companies to manage all mobile transactions in one place. Many countries have already adopted Mpesa, a mobile banking network that allows users to access bank accounts, transfer funds and make purchases using only a basic cell phone. Last year, more than $1.7 trillion passed through Kenyan mobile phones thanks to the service. The tool also offers analytics so businesses can keep track of their progress and customers. Kariuki Gaithu, one of the tool’s founders, was working at Kenya’s Equity Bank and figured out how to bridge the gap between banks, mobiles and customer purchases. He teamed up with Stella Njoki to start the company in 2010. Currently, MPayer now processes more than $70,000 every month, according to Forbes. Operations have already expanded from Kenya to Tanzania, but the founders are looking even further. The platform also allows for other forms of payment besides MPesa, the founders told StartupsFM that they hope to expand into other emerging markets with a similar customer base. Started in 2008 to stop illegal trade of counterfeit drugs, this network allows users to verify the safety of their medicine by calling a toll-free number. Each package has a scratch-off code that can be checked with a simple phone call to determine which drugs are legitimate and which are fake. “We went to the telecommunications industry, explained the counterfeit medicine problem to them, and asked them if they would support a solution if the pharmaceutical industry applied technology to combat the crisis,” said the company’s founder, Bright Simons, to the Daily Maverick. Using existing infrastructure and partnerships with companies like Hewlett-Packard and mobile operators like Orange and Airel, Simons created an SMS-based system. “I realized I would have to create a service that wouldn’t require a lot of money to set up,” he said to the Daily Maverick. Since its launch in 2008, the operation has expanded beyond Ghana to other African countries and South Asia. MPawa is a job-searching application that operates entirely through SMS messages. Developed in Ghana by Maxwell Donkor, the service connects blue-collar workers with the employers who need them – without requiring the Internet. Donkor no longer works for the company, but last year he told Myjoyonline that “these people have very, very limited resources but challenging problems, so what mPawa seeks to do is give them an application that they can use with the means they have now – that’s why we went to SMS." Users can create a profile within minutes, and then get SMS updates about job opportunities. Employers save money on advertising and manpower needed to find the right candidates. After just a month of operation, mPawa had thousands of carpenters, steelworkers, tile layers, welders and other potential employees using the service, according to VC4Africa. So far, it’s expanded operations to Kenya, with potential for further growth in 2014. Why Was China's Internet Traffic Directed To Wyoming?